“Last year I spent a day in my hometown of Keizer, Oregon. Driving through the neighborhoods brought extremely specific memories to the surface. Curiously reflecting on that day, I decided to draw (with masking tape) a floorplan to scale of my childhood home to see what memories would reveal themselves to me. 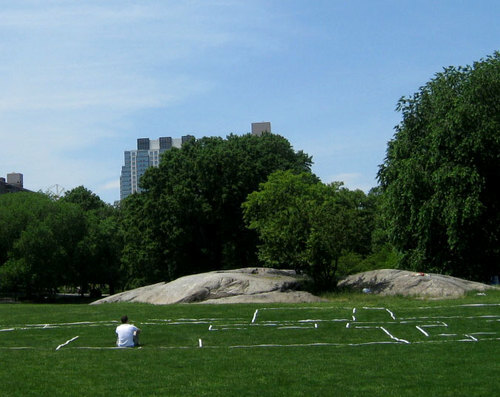 I chose a location in Central Park alongside ballfields where I’d feel comfortable spending time in my space.